Based on epidemiological studies, Ian Morgan, a myopia researcher at the Australian National University in Canberra, estimates that children need to spend around three hours per day under light levels of at least 10,000 lux to be protected against myopia. This is about the level experienced by someone under a shady tree, wearing sunglasses, on a bright summer day. (An overcast day can provide less than 10,000 lux and a well-lit office or classroom is usually no more than 500 lux.) Three or more hours of daily outdoor time is already the norm for children in Morgan’s native Australia, where only around 30% of 17-year-olds are myopic. But in many parts of the world — including the United States, Europe and East Asia — children are often outside for only one or two hours. In 2009, Morgan set out to test whether boosting outdoor time would help to protect the eyesight of Chinese children. He and a team from the Zhongshan Ophthalmic Center (where Morgan also works) launched a three-year trial in which they added a 40-minute outdoor class to the end of the school day for a group of six- and seven-year-olds at six randomly selected schools in Guangzhou; children at six other schools had no change in schedule and served as controls. Of the 900-plus children who attended the outside class, 30% developed myopia by age nine or ten compared with 40% of those at the control schools. The study is being prepared for publication. A stronger effect was found at a school in southern Taiwan, where teachers were asked to send children outside for all 80 minutes of their daily break time instead of giving them the choice to stay inside. 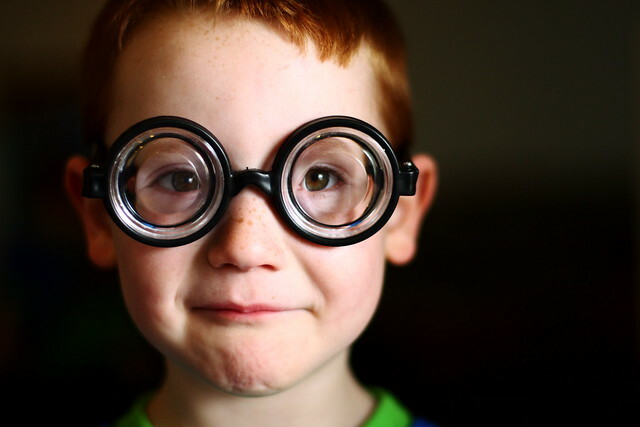 After one year, doctors had diagnosed myopia in 8% of the children, compared with 18% at a nearby school12. Morgan is buoyed by the preliminary findings, but thinks that he can do even better. “We’ve got proof of principle that increasing the amount of time children spend outside actually works,” he says. “The question then is how do we make this work in practice at a level that would have a significant impact?” He recognizes that many schools do not have the flexibility to add time outdoors. So last year, in collaboration with Congdon, he began piloting the idea of teaching kids in a classroom made of glass to let in more natural light. “This glass classroom idea is quite applicable for whole swathes of China,” Congdon says. Rose points out that additional outdoor time “has to be mandated through the schools, because getting parents to voluntarily do this is extremely difficult”. Saw and her colleagues learned this when they trialled a 9-month programme to teach parents in Singapore about the importance of outdoor time in order to prevent myopia. They provided step-counters, organized outdoor weekend activities for families and even offered cash prizes for cooperation. But by the end of the trial, the time spent outdoors was not statistically different from that for a control group with no such campaign13. Organized sports may not be enough. Kids need to spend time outside playing in the sunshine and learning to judge distances during the years when the eyeball is developing. Keeping them indoors to keep them away from imaginary predators is ruining their eyes.